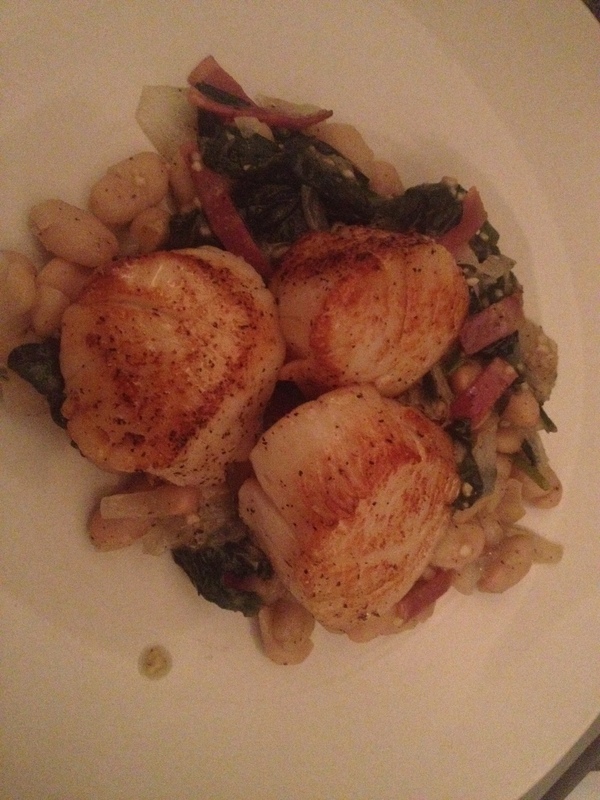 Over the years I have become slightly obsessed with scallops. I think it comes from watching Hells Kitchen and hearing Gordon Ramsay yell at chefs as they overcooked their scallops into rubbery messes. It then became one of my goals to properly cook them and have them hold up to the Gordon Ramsay test! Below is a recipe I saw on Pinterest with a couple of Nekesa changes. Recently I’ve had an interest in experimenting with beans so this was a tasty way to combine my love for scallops and some experimentation. Heat a small to medium pan over low heat. Add 1 tablespoon of butter along with the garlic and onions/shallots. Saute until the onion is soft and translucent which should be about 3 – 5 minutes. 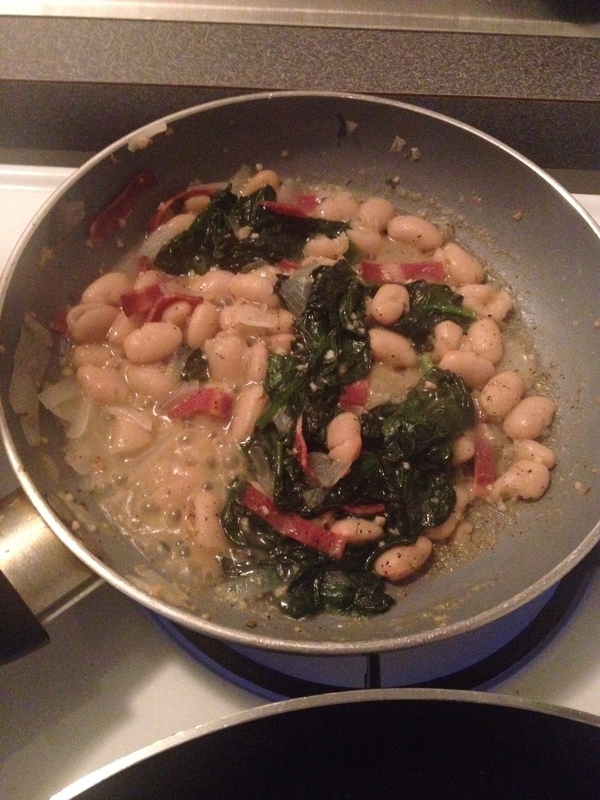 Add the white beans with some of the juices to the pan. Some people suggest rinsing and draining the beans because they contain lots of sodium and possibly unpleasant bi-products. However, I like the extra flavor and I don’t add too much of the juices. Therefore don’t need to add additional salt to the mixture. Add spinach, turkey bacon, and a little bit of water if necessary to help in the wilting of the spinach. Stir and let simmer for 6 – 9 minutes. Now it’s time for the scallops! Quickly rinse scallops and put in between paper towel or a kitchen towel to absorb excess liquid. Scallops need to be as dry as possible to sear properly. Lightly season with pepper and a very small amount of salt. I say a very small amount because the bean mixture will be flavored enough with sodium that you do not need to add extra. In a separate pan, heat the pan until it’s nice and hot. I typically put a couple drops of water in the pan and once that’s fully evaporated, I have a better understanding of how hot it is. Add two tablespoons of butter and let melt fully until it has mostly stopped bubbling. Swirl butter throughout the entire pan to coat. Add scallops searing on one side for about 3-4 minutes. Flip to the other side and swirl the pan spread around the butter and sear for another 3-4 minutes. 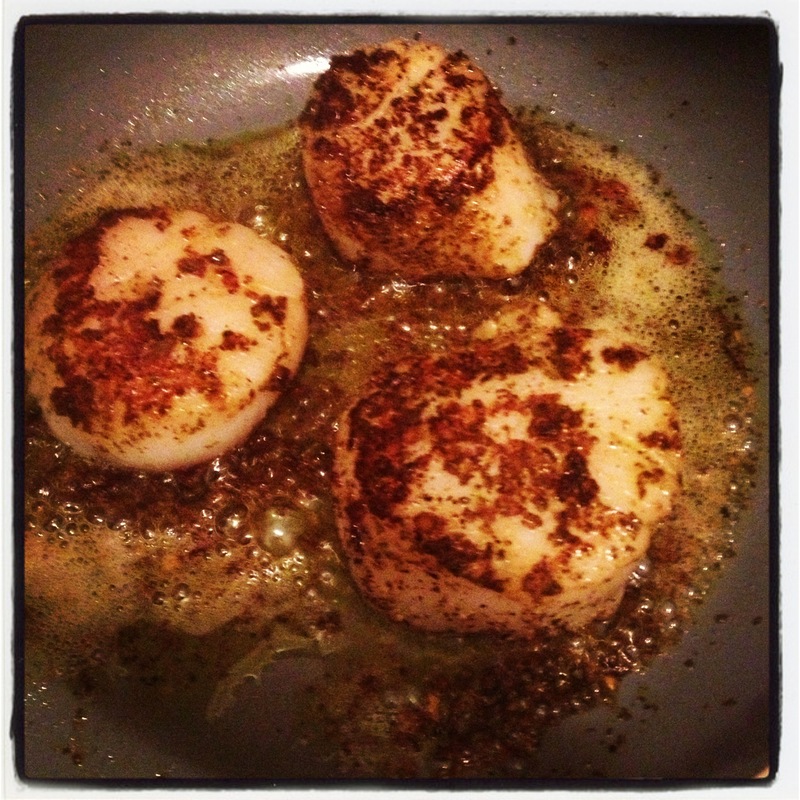 Once scallops are properly seared (a nice golden brown buttery color), remove scallops from heat. Plate bean mixture and add scallops on top. Done and done!